This is the second post in a three-part series where I explain how to create a Summer-Fill Direct Mail Campaign that can be used to increase your customer base and help sell more propane. In the first post, I provided some background and explained the advantages and benefits of direct mail marketing. In this installment, I’ll discuss why it’s important to have a specific goal for your direct mail campaign and how to design and print your marketing piece. 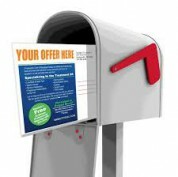 As with any worthwhile endeavor, you need to have a goal for your direct mail campaign. A specific goal will not only provide the campaign focus and purpose, but will also help determine who and where we send the sales piece to, the content and design of the piece, and the timing and frequency of the mailing. One of the primary benefits to direct mail is it’s targeted approach and having a clearly defined objective will help you maximize your targeting efforts. Let’s assume our goal is to expand our service territory. We currently serve people within a 20-mile radius around our office and wish to increase that to a 30-mile radius. In doing so, we think we can add 150-200 new customers and increase propane sales by 135,000-180,000 annual gallons. We will use a Summer-Fill program as the theme for the campaign and include time-sensitive offers and incentives. Click here to learn more about how to increase direct mail response rates using offers and incentives. Now that we have defined our goal, it’s time to start designing the mailer. We’ve decided to go with a postcard since they are the most cost effective and the message is clearly displayed on the outside which improves our chances that the recipient will actually read it. The basic components of your direct mail piece should include all or most of the following parts. Headline. You have to grab your reader’s interest in just a few seconds, and the best way to do that is with a great headline. It can be just a few words long or it can be several sentences, but it has to capture interest and make or imply a promise that you’re offering something that will be of great value to the reader. Benefits. The one question every potential buyer is going to ask is, “What is this going to do for me?” So throughout your piece, you have to keep piling on the benefits. And keep in mind that it’s benefits, not features, that sell. That new car may have the most advanced engine, but the buyer wants to hear that he’ll be able to drive fast and impress the neighbors. Combine the key design components listed above with your logo, contact information, pertinent pictures/images, nice colors and an uncluttered layout. I highly recommend that you spend $75-$150 and have the layout done by a professional graphic designer. You want the postcard to be eye catching, easy to read, and present your business in a good light – the designer will get that done for you. The layout is complete, now it’s time to go to print. Have your designer provide you with a print-ready file and either take it to a local printer or get it done online. Wherever you go, have it printed on a nice heavy cardstock and go with a gloss finish – it will hold up better in the mail and still look great when it arrives. In the third and final installment of this three-part series, we’ll discuss the steps involved to Prepare Your Piece for Mailing.